Kim Turner Writes: Contraceptives in the Old West. Contraceptives in the Old West. Writing romance in the old west is certainly not for the faint of heart, but as I dive back into the third story in my McCades of Cheyenne Series, I keep coming across the same dilemma—what was done for contraception back then? I mean a toss a hero and heroine together and well, even if not married things can get out of hand and I have to wonder if readers are wondering too about pregnancy even if the couple doesn’t discuss it. As I writes these stories, I keep writing around the idea of just how women in the day kept from becoming pregnant. Hey, if I hurry and marry off the couple then it’s not really a big deal, but what about if the marriage might be a ways off in the story? So…I started doing a bit of research to answer my own questions and thought I could share this with some of the other writers who might be asking themselves the same questions. Caution: PG-13 if you continue to read. Childbirth in the late 1800’s was a gamble for any woman given the complications and out west the lack of facilities of physicians made even a normal birth a huge risk for a woman. Birth control as a whole wasn’t widely accepted and should a woman birth a viable child, it might be she had a house full of children due to the lack of contraceptive ideas. The 1800’s was full of restrictions and law but held some of the highest abortion rates of any of the recent centuries, but women and even men weren’t beyond trying a variety of methods to keep from producing a child or more children. 1-Abstinance-Providing a woman could convince her husband to stay out of her bed or possibly visit the local brothel instead. 2-Withdrawal-Which meant a man had to have the ability to hold off on the end result and had to have the ability to remove himself from the woman before his big finale. The problem here was the “guppies” at least a few escaped prior that same big finale and women often found this method failed them. 3-Sponges and douching-Sponges soaked in lemon juice were at times effective, as the acidity immobilized the “guppies” and the sponge blocked the path into he cervix. And lemons were not widely available and so woman might opt for Quinine which was proven to have little effectiveness when used with a sponge. There were also the women who opted for a variety of chemicals who caused them more harm than good and often ended in pregnancy anyway. Douching with various liquids and herbs might or might not work but often caused hard to sensitive tissues. Douching syringes were sold for the purpose and often with chemical like sulphates or Zinc or Iron to kill the “guppies”. 5-Condoms did exist though as in modern day, men of the old west didn’t much prefer them, nor were they easily available or reliable. First condoms were made of sheep or pig intestine which could cost around one dollar each and men were often said to wash them out for re-use but of course each use lessened the security of leaks. And by the 1840’s rubber version became available, though failure rates were still in excess of 10%. Prostitutes were the first to readily use condoms to prevent pregnancy and disease, but it took a bit longer for married couples to venture into methods as such. Added to newer variety of rubber condoms was lemon juice, sulfur, zinc and a variety of other concoctions which didn’t lower the risk of pregnancy much more than the 10% of condoms alone and added to that was the costs and availability to a cowboy seeking a little pleasure from his women or wife. 6-Chemical or mechanical abortion. With little medical care, shortage of physicians and lack of resources, women did opt to “rid” themselves of unwanted pregnancies. A variety of harsh chemicals might terminate a pregnancy but often put a woman herself at risk. Toxic drugs such as Ergot and Quinine in large doses could terminate a pregnancy but also left the woman, if she lived with harmful effects from damage to the kidneys to excessive bleeding, anemia and potential death. With mechanical intervention the risks of bleeding and infection were extremely high and many women died. Women also wore tighter and tighter corsets, starved themselves, and caused themselves deliberate injury in order to end an unwanted pregnancy and it wasn’t until the 1850’s that anti-abortion protests began and 1870 when the act was banned by law. Contraception was a bit different where Indian’s of various tribes were concerned. Because the Indian’s were nomads living off the land and often moving, children were spaced out for 3 to 5 years, given a mother could not travel and nurse more than one child with two small children. Indian women often nursed a child for 3 to 4 years and during that time period was often abstinence and this was tolerated by the men, with most families consisting of no more than 3 to 5 children when compared to pioneer/western white families with twelve or more children. 5-Western StoneSeed-boiled roots, pounded and soaked in water and then consumed daily for 6 months would prevent pregnancy for good. 6-Bitter Cherry-dried wood form the plant was soaked in hot water and the water consumed to prevent pregnancy. I couldn’t find much as far as rating all these plants in their effectiveness, but my guess is even today not one method of birth control is truly 100% effective…there is always that .00999% waiting to happen. Careful Cowboy….tread lightly. Thanks for dropping by my blog where I hope to keep everyone posted on the latest things happening with what I am writing. Since I have an unquenchable thirst for cowboys, I hope to add a lot of fun things related to the wild, wild west, including recipes, songs, quotes, poetry and of course, pictures, history and art. I'll also be adding some fun things related to the stories I write, so don't forget to check in now and then. Kim Turner writes western historical and contemporary romance, and discovered her passion of writing at the age of eight by writing poems, short stories and journals. Kim graduated from Clayton State College with a Bachelor's of Science in Nursing and later completed her Master's Degree in Adult Education from Central Michigan University. Working as a registered nurse educator & Quality Analyst for over twenty-seven years, she enjoys studying the medical treatments of the old west and keeping up with the latest western movies and television series. 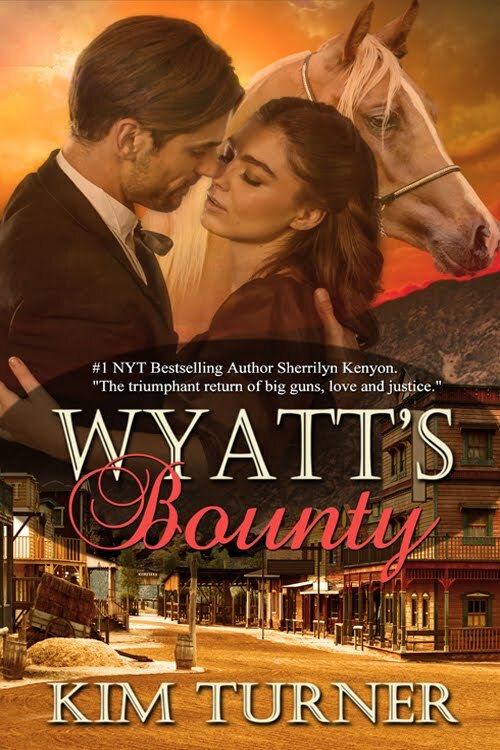 While she loves reading anything from highlanders to pirates, she claims to have an unquenchable thirst for the American cowboy when choosing her reads. Kim's childhood memories include playing girls softball, the drums in band and spending summers on her grandfather's dairy farm, where her passion for cowboys first began. Kim spent her single years traveling the road with a large group of girlfriends following the country music group Alabama. Later she spent time traveling to New England where she taught the crew of a whale watch vessel CPR in exchange for passage out to see the whales, dolphins and porpoises of the North Atlantic. Kim lives south of Atlanta with her husband and calls her greatest accomplishment the birth of one daughter and the adoption of another from China-neither of which came easy. The family shares their home with two dogs and two guinea pigs. Often referring to herself as the midnight writer, Kim's writes at night when the house is quiet. Kim is a member of Romance Writers of America, Georgia Romance Writers and calls her critique group from Southside Scribes the best thing that ever happened to her writing, that and a pretty wonderful group of beta readers. 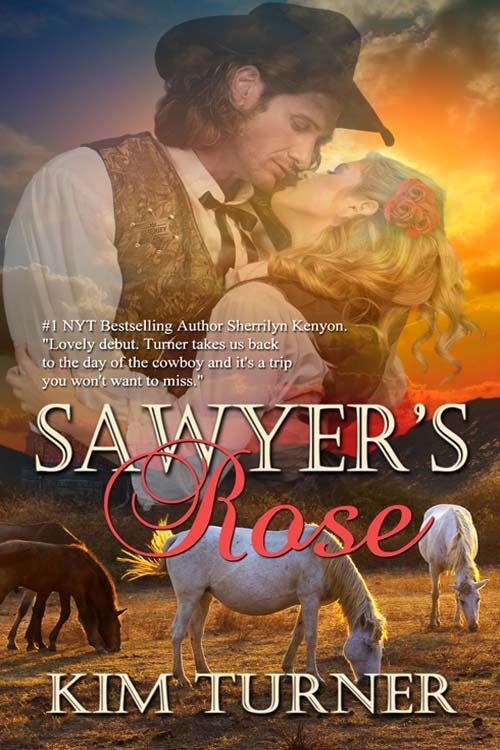 Sawyer's Rose, Kim's first manuscript got an honorable mention in the 2104 Maggie's in the unpublished historical category and was also a finalist in the 2015 Golden Heart with Romance Writers of America. Kim's motto: IT'S ALL ABOUT A COWBOY AND THE WOMAN HE LOVES. Welcome to Cowboy Author Clint Clay! Welcome back to Clint Clay with something new!